Just about as easy as it gets! 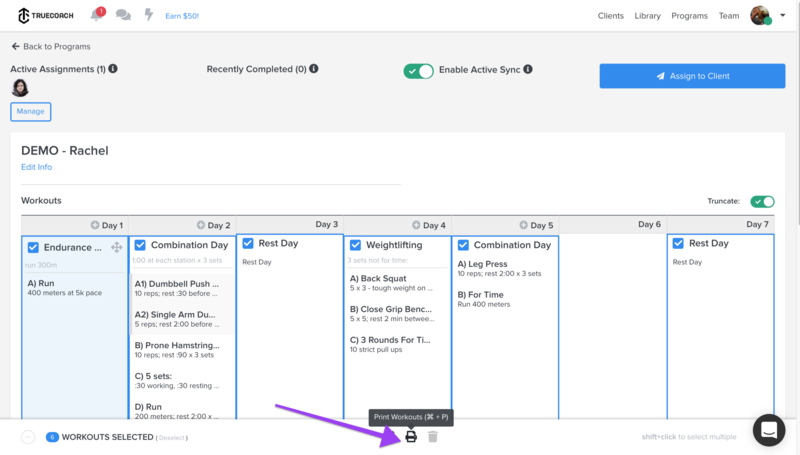 Head to the Program you'd like to print, select the first workout, hold down the SHIFT key, then select the last workout. You'll see a few icons pop up at the bottom of your screen where you can select Print Workouts. 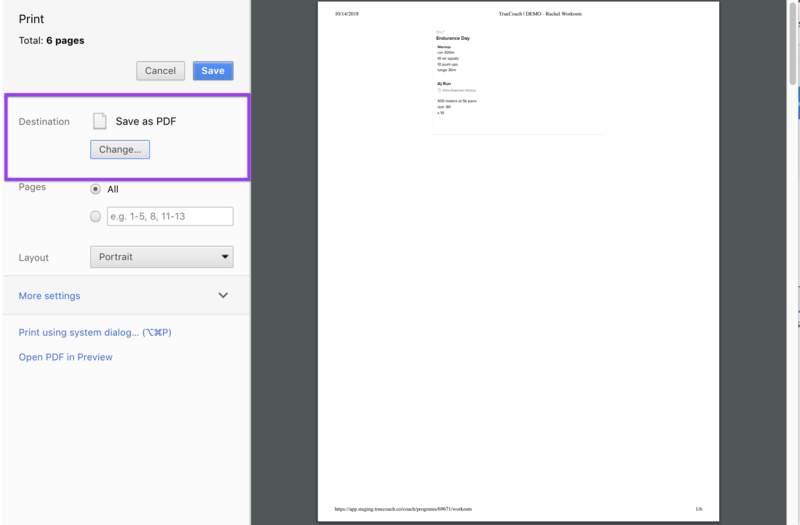 Select 'save as PDF' as your destination and you've got that program saved to your computer!